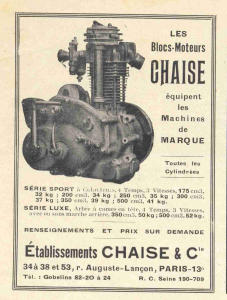 Maurice Chaise born in 1881 at Sant-Rémey (Yonne), set up his engine manufacturing company ‘Ets Chaise & Cie’ in 1921 (after previously being the head manufacturing/engineer at ‘The Rhone’ for 14 years 1907 to 1921 later called Gnome & Rhone). 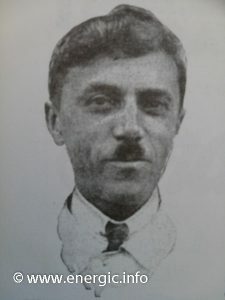 He worked with M. Erbet, chief engineer for the Chaise company.Les Etablissements Chaise & Cie was established initially worked from numbers 36, 38 and 53 Rue Auguste Lançon in Paris. 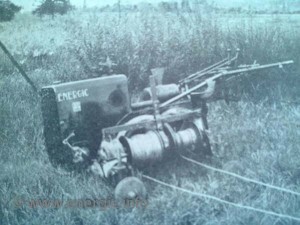 He was a independent supplier of small cylinder capacity engines to various manufacturers within the boats, agriculture, motorcycles to aviation sectors. 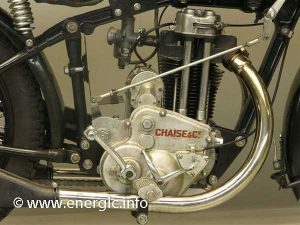 Notably he produced one of the first 500cm3 (along with a 250 and 350cc ACT range of engines) motor cycle engines in 1927, which was paraded at the October Paris motorcycle exhibition of that year to much acclaim. 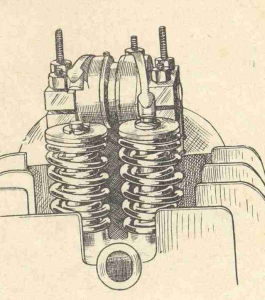 This range had Over head valves, and the 500cc had a alésage x course of 85 x 89. 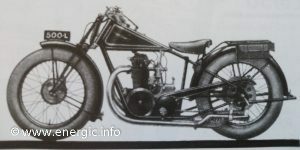 They made motorcycle engines predominately for Majestic and Dollar motorcycle brands, along with supplying engines to other manufacturers such as Energic. 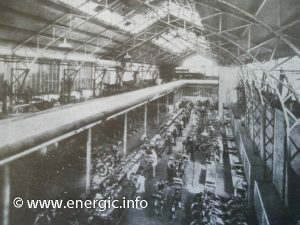 In 1930 his engines ranged from 185 to 247cm3 2 temps and 175, 200, 250, 300, 350, 500 OHV and a lateral 500cm3 moteurs. In the Energic G9 we see the raised/tall height of the hood covering the tall Chaise moteur, with kick start. 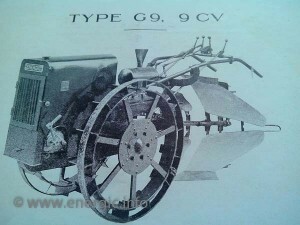 This engine was taken directly from the motorcycle range of engines of the time. The company ceased trading in 1939.